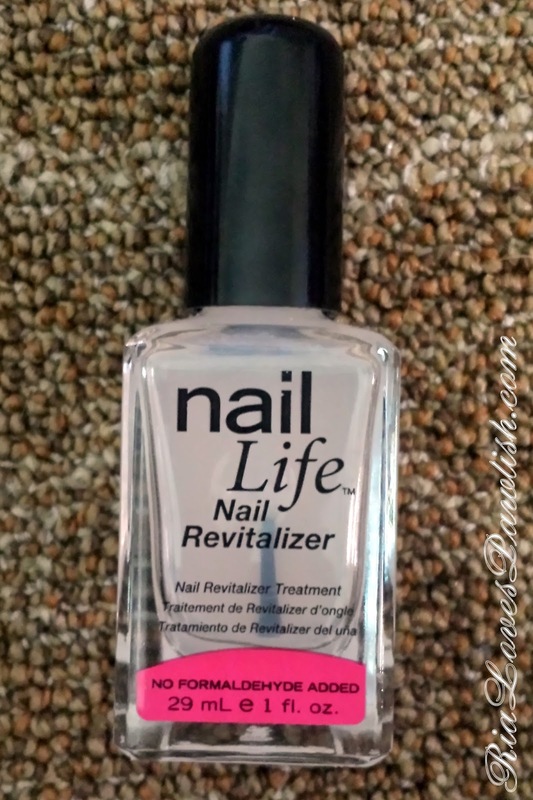 today i want to share Nail Life Nail Revitalizer in the No Formaldehyde Added formula with you all. this was recommended to me by a random lady at Sally Beauty Supply, and reinforced as wonderful by the sales girls. it's a nail treatment that can be used alone or under polish, i've been using it pretty faithfully for about a month now. i have to say, i had really high hopes for this, it's a big bottle (1 fl. oz.) that costs less than the only treatment i've found to work for my nails in the past, Nailtiques Formula 2 Plus (which is only a quarter of an ounce!). sadly, this product didn't do much for my nails. they continued to peel and rip, and i didn't really see any changes at all. i gave it much longer than i give most nail products because... it seemed like such a great deal! Nailtiques instantly makes my nails much hardier from the first application. *sigh* total bummer. i'm curious as to whether the Original formula would work better for me... but i'm probably just going to stick with Nailtiques Formula 2 Plus... even if it is spendier AND smaller. you can find this product at Sally Beauty Supply, it retails for $7.99 and is currently on sale for $5.99. THIS is the direct link to it on SallyBeauty.com! you can find Nailtiques Formula 2 Plus as well as the entire Nailtiques range at Ulta and Ulta.com for $9.50. they have different treatments to target different issues nails can have... they probably have something that will work for you!